Who doesn’t love REALLY old t-shirts? 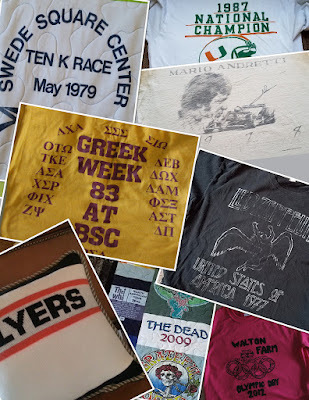 Below are some that were included in Memory Quilts that date back to 1970’s, some from the 1980’s, and some more recent! The Flyers pillow was made from a sweater dating back to the 1980’s-before the Flyers logo was created!